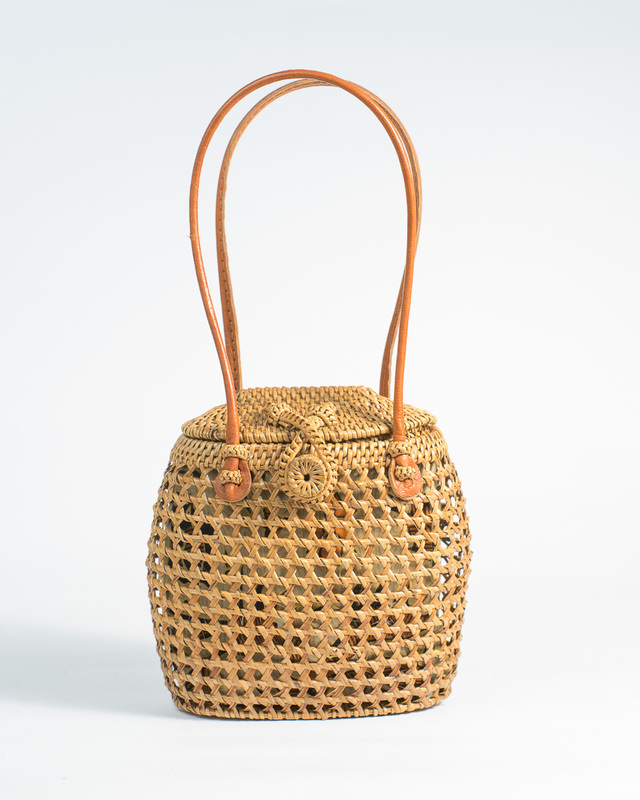 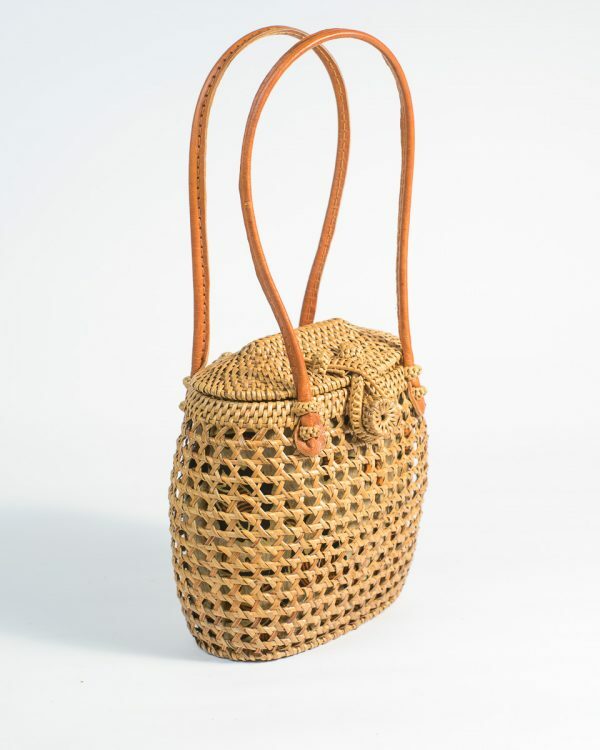 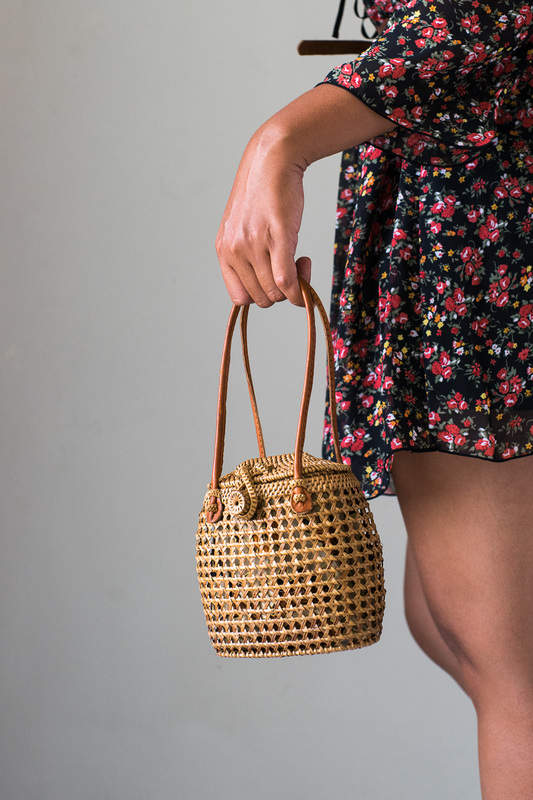 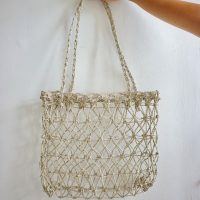 This open-mesh handbag is woven from a natural climbing vine that is native from the island of Bali. 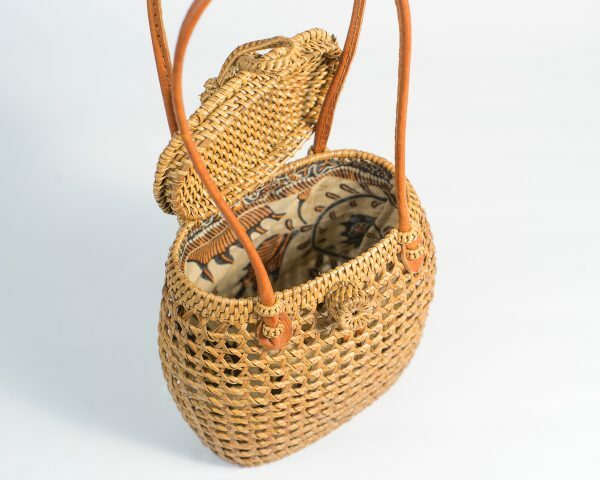 This cute cowbell-shaped rattan bag has a traditional dyed batik inner lining and comes with leather hand strap and a woven loop closure. NOTE: The photos of the batik inner lining are merely a representation. 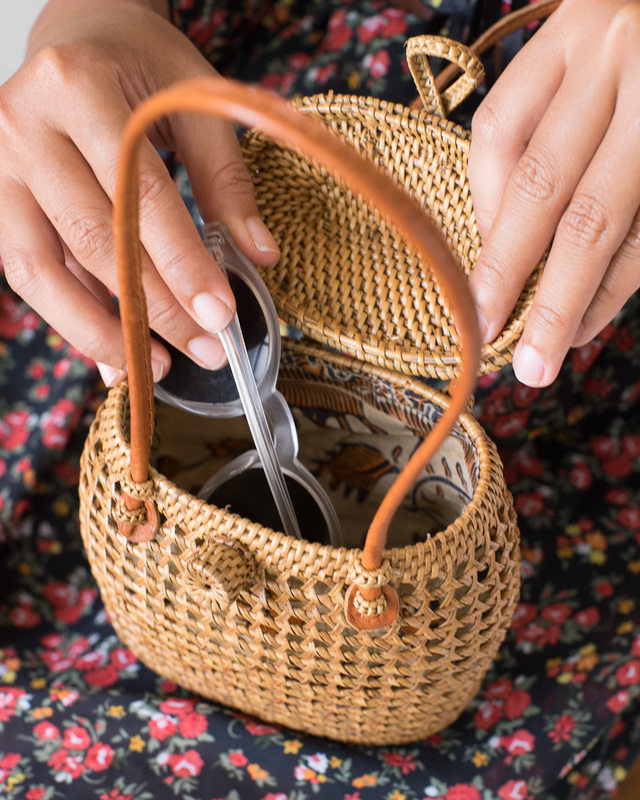 Colors and patterns of the batik cloth vary widely and may not match the photo. 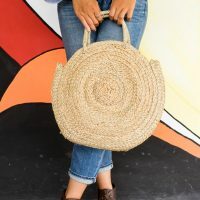 These natural, environmentally-friendly straw bags are all handmade, therefore there will be slight variations in shape, weave, and color. 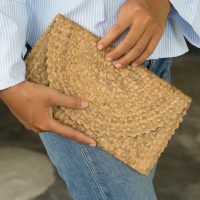 The batiThe traditional fire-drying and conditioning process gives the material a nice brownish patina and gives it a pleasant initial smoky aroma that will fade with time.